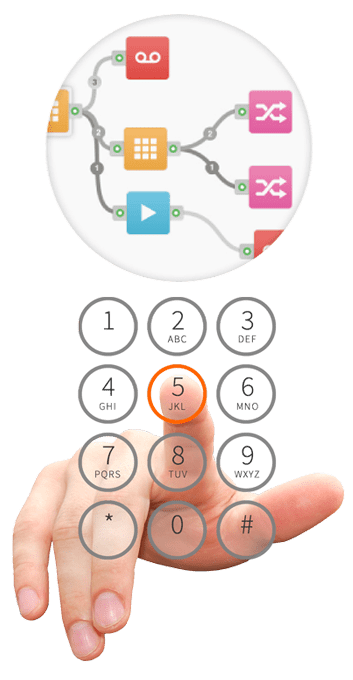 The Interactive Voice Response or IVR is an IP telephony functionality that allows customers to interact with the telephone service system of a company through configurable voice menus, in real time, using DTMF tones, and automatically distributing of calls depending on the client interaction. The locutions are previously recorded or processed in real time from a text. The IVR are used in customer service. They are usual complements of Call-centers. They often serve as a pre-filter for incoming calls through a menu of options. IVR Systems can handle and service high volumes of telephone calls. With an interactive voice response system companies can reduce costs and improve the customer experience. An IVR system offers callers the possibility to select the options they want by pressing the keys or answering by voice. Pressing a digit on the telephone keypad sends a DTMF tone to the company’s service system, which is programmed to select the appropriate action or response according to the digit pressed. This action can be moving to a new submenu, in a hierarchical way, until obtaining what the client wants, or offering an audio information for that option, or redirecting him to a specific extension. The service could be configured to answer calls based on the line where the calls come from, as well as if the call is received inside or outside office hours. For example, you may have a different notice for non-office hours that do not include options to be transferred to groups or queues that do not have agents available to take calls, etc. Where are IVR systems used? Management of high volumes of incoming calls. 1.- Previous analysis: meeting with the client to gather the information and know the requirements and details of the IVR model they need. 2.- Elaboration of the decision flow model: the client can already have a clear and developed decision flow diagram that he wishes and transfers it to us for implementation, or we do it, based on the requirements expressed by the client and in a consensual way with him. 4.- Definition and writing of the locutions that the IVR will carry. 5.- Establishment of the jump conditions to the IVR: define when calls are redirected to the IVR, the geographical number to be used, etc. 6.- Definition of the structure of the Database to be created, the feeding of that Database and its connectivity with Asterisk through the ODBC connector. 7.- Development and configuration: from the above, the development and configuration process begins. At Mildmac we configure your IVR for any Asterisk switchboard in the market. 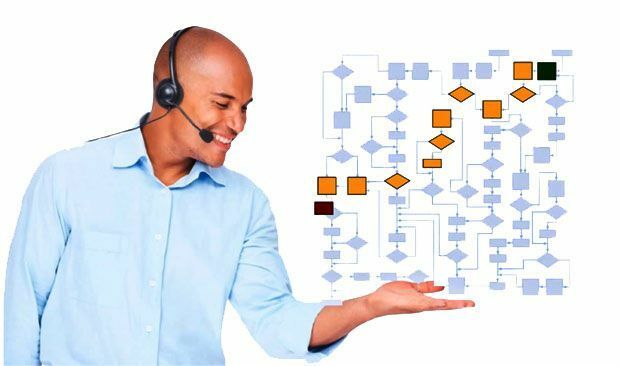 While we can, obviously, configure simple digital receptionists, our specialty and great benefit is in great complexity and scope corporate configurations, where our extensive experience working with data models and complex decision flows allows us to solve the most demanding IVR configurations you need for your company or organization. We cover everything necessary for your IVR, from the analysis and concept, definition of the data model and decision flow, writing and recording of professional locutions, configuration and start-up and maintenance and modifications. 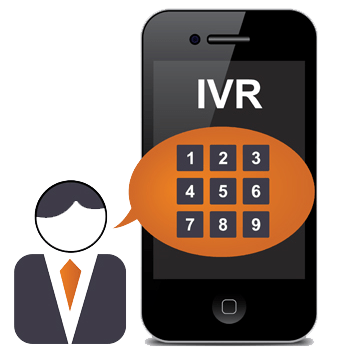 Although the IVR is something widely used nowadays by the companies, however, the users or clients, sometimes, tend to perceive this type of interaction with menus and pre-recorded messages very annoying when they call. Although the way in which IVRs are configured varies from system to system, there are some general guidelines of common sense that must be followed when configuring an IVR to avoid that rejection by the client and that he perceive it as an added value and effective help for what he is looking for. Avoid that the IVR menus are too deep or too complex. Nobody wants to hear a litany of recorded instructions. It is advisable to maintain the menu level in a maximum of three levels. More complexity than this, clients will feel trapped in the hell of the IVR. What could be more frustrating for customers than going through a series of menu messages only to end up in someone’s voicemail? If customers call after business hours and there is no live assistance available, they should be redirected as quickly as possible to the voice mailbox of the person who can best help them. Please do not set “Press 1 for help” and then, “press 9 for sales.” The workflow of the menu and routing of the call should make sense for callers. If you use personalized messages with the IVR make sure that the message is well articulated and does not speak at a rapid pace, but not too slow. Some IVR discomforts can be attributed to the provider. Investigate the characteristics of the IVR before committing to a solution. We all hate waiting. Many IVRs allow you to configure callers to leave your number to receive a call when someone is available to talk to them. Since everyone has to stand by from time to time, configure so they can choose the music option or silence during the waiting time. Your customers and business partners may not share your love for soft jazz. How many times have you called a company and have you heard: “Please pay attention, because our menu options may have changed …”? It is irritating. Find a menu structure that works and makes subtle changes (and never in the main menu) to avoid confusing the client. Record short IVR messages, no more than 60 seconds. Well-edited recordings make the telephone system of a business professional. Use a sound editor to eliminate long pauses, shorten recordings and improve overall sound quality. As employees come and go from the company, or change their position or department, keep the company’s directory and phone extensions linked to the IVR up to date. IVR menus should include a general option that callers can select if the other menu options do not fit the purpose of their call. If you decide to include advertisements for waiting customers these should be very short. Many companies, instead, choose to present interactive surveys for callers while they remain on hold. The IVR must reflect the interests of the clients. If most customers call to pay an invoice, then the first menu option provided must be for the payment of the invoice. This is where business acumen can really help a company establish an effective IVR plan. A previous response from a caller should be saved and go to the next level of the menu. Who wants to enter their ID number several times?